Why would you need a taxi app which only works for specific cities? With our TAXI DEUTSCHLAND APP – the very first taxi ordering app on the German market – you can order your taxi in all cities all over Germany with more than 5,000 inhabitants! And in a lot of cities you can pay your ride through the app, too. We completely redesigned the taxi app – for more convenience, security and the perfect taxi experience. At the moment, we are providing all the updates gradually until all features are available again. Start the app and you’ll be told exactly when a taxi can arrive at your location. Type in your destination address and we will show you how long the ride will take and how much it will roughly cost. This allows you to plan ahead, you’ll arrive on time and safely. + In most of Germany‘s larger cities the app works fully automated, e.g. Berlin, Hamburg, Munich, Cologne, Frankfurt/M, Stuttgart, Dusseldorf, Dortmund, Essen, Leipzig, Bremen, Dresden, Hanover, Nuremberg, Duisburg, Bochum and many more. + In smaller cities you can order your taxi over the phone with just one click in the app. + Via the extra-button you can choose between various extras ranging from vehicle types to advance orders. + You can save frequently used addresses with just one click. If you don’t know the exact address, you can also choose the destination via location or POI, e.g. EZB Frankfurt. + In selected cities you can also pay the taxi ride via app (credit card, PayPal). We will send you the invoice directly via e-mail. + In your hometown you can also conveniently pay via monthly invoices. + Only with us you can also pay by App even if you only hop on the cab. Please ask before the fare if the cab belongs to us and offers this service. + At the end of each taxi ride you can rate the driver and the vehicle. This helps us to constantly improve our service. Your rating stays anonymous. + If you enjoyed your ride, you can choose the driver as your preferred regular. + If you need help, you can always contact as through the app via phone. 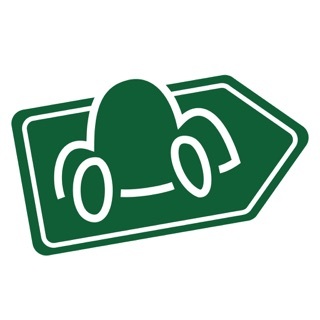 The app is published by the Taxi Deutschland Servicegesellschaft. The alliance of leading taxi depots in Germany also operates the nationwide mobile phone taxi service 22456, and works exclusively in cooperation with local taxi depots. For you, this ensures the highest level of reliability and security when ordering a taxi. We want to improve our app constantly - if you have any suggestions, please use the feedback form in the app or send us an email to app@taxi-deutschland.net. Thank you very much!